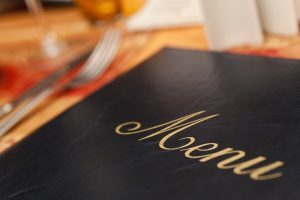 If you have special dietary needs or restrictions, it can be difficult to go out to eat. You may have discovered a food allergy later in life, or you may have made the decision to become a vegetarian, but regardless of the reason or circumstances, Moto-i wants to make sure you can find something on our menu to enjoy. As your Japanese restaurant in Minneapolis, we have plenty of vegan, vegetarian, and gluten-free options. While it may seem like a hassle to customize your order when out to eat, and you may feel shy about bringing it up, our servers will gladly answer all of your questions regarding ingredients and how our food is prepared. We’ll do our best to accommodate your needs, understanding that eating a certain food could make your meal less than enjoyable. If you need a recommendation, we’ll gladly suggest our favorites. Above all, we want you to feel comfortable eating in our restaurant, and that you can come back whenever you want to have your favorite dish or try something new! Our traditional Japanese restaurant was established on the time-honored tradition of ramen dishes paired with delicious vegetables, desserts, and sake. If you’ve never tried Japanese cuisine before or you’re looking for a new place for date night, and you or your significant other has dietary restrictions, come to Moto-i. We love seeing people discover food they’ve never tried, and we’ll do all we can to make your experience an enjoyable one!